Fortunate to be invited to shoot hummingbirds at a local photographers home. 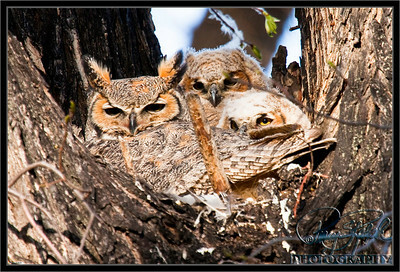 He had a nice set up with 3-4 strobe flash units and a feeder. Enjoyable to watch and lucky to get a shot. The Starting Line. 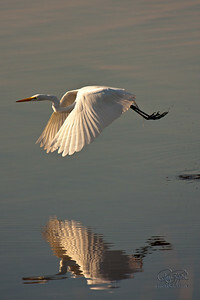 The Great Egret, a big beatiful white bird, was skipping along the water of the Ding Darling National Wildlife Refuge. This area had a number of birds. 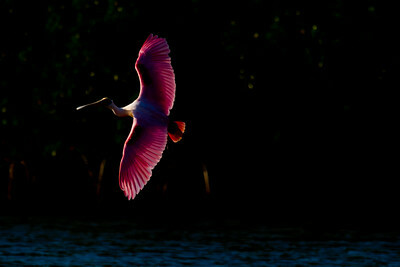 I liked how the sun was shining on the wings and you can see the bird splashing up water as he is moving along. Pouncing after breakfast. 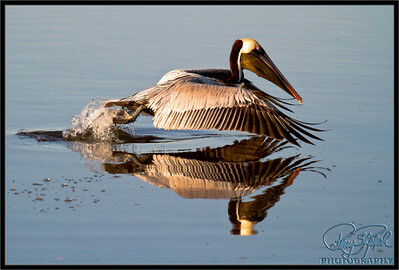 This brown pelican was sitting very still in the water and then quickly moved after food, spalshing into the water. 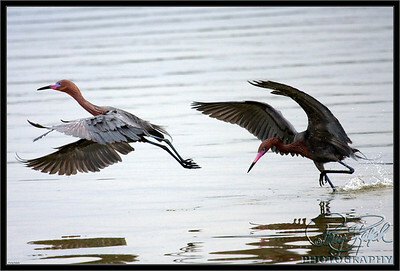 It was also taken at Ding Darling NWR. Rising. 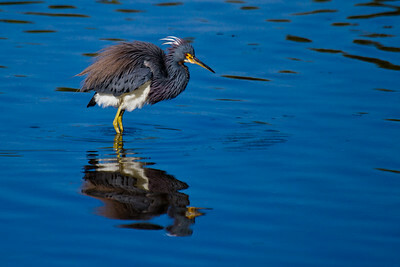 This is a Tricolored Heron at Ding Darling NWR in Florida shortly after sunrise. 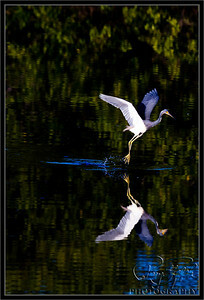 A nice calm morning created a beautiful reflection on take off for this bird. Takeoff. At the Ding Darling NWR, this was the first Tri-Color Heron i saw. 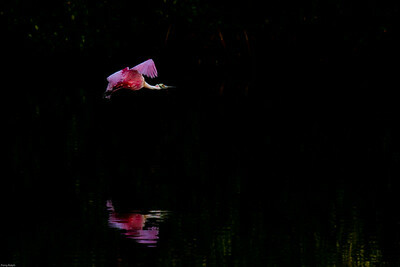 It was gliding on the water looking for food. The water was still which allowed for a nice reflection. A beautiful bird that decided there wasn't anything left to look at and took off. 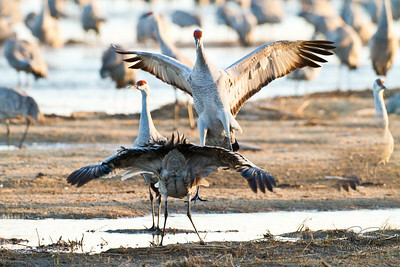 The Sand Hill Crane MIgration 2010 at Rowe Sanctuary near Kearney, Nebraska. The birds come to the Platt River at night and then leave to back to the field in the morning. 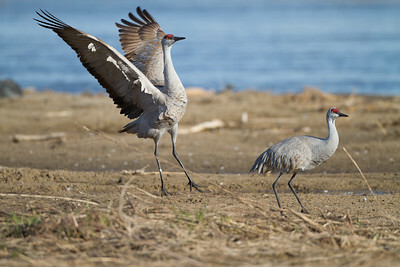 This is the time of year for mating and the dance is the courtship. 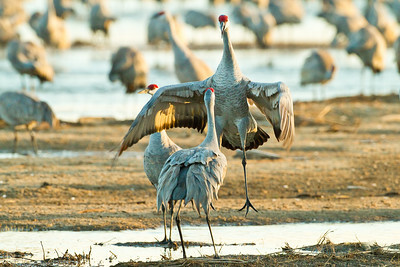 The Sandhill Migration at Rowe Sanctuary in Nebraska. 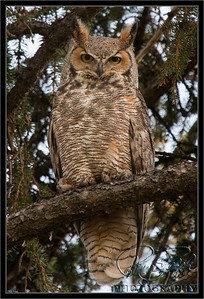 he Sand Hill Migration thru central Nebraska is an Amazing event. Hundreds of thousands of sand hill cranes converge on the Platt River near Rowe Sanctuary. 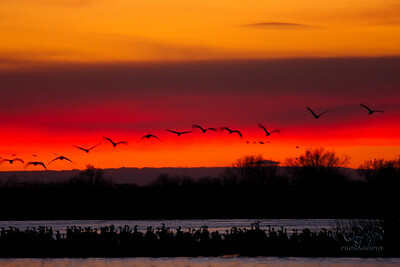 This was early morning in a photo blind when the cranes started to leave the river to eat in the fields. 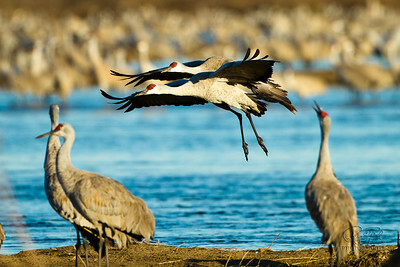 The Sand Hill Crane MIgration 2010 at Rowe Sanctuary near Kearney, Nebraska. The birds come to the Platt River at night and then leave to back to the field in the morning. This one decided to get a running start before taking off. The Sand Hill Migration thru central Nebraska is an Amazing event. 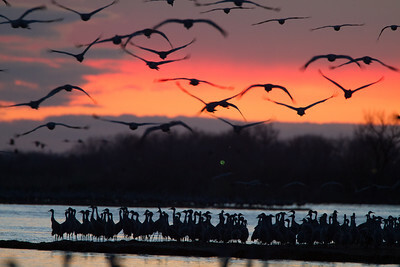 Hundreds of thousands of sand hill cranes converge at Rowe Sanctuary on the Platt River near Kearney, Nebraska. 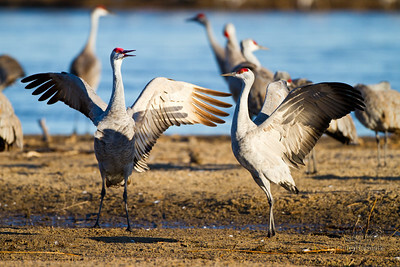 The Sand Hill Cranes are known for their joyous dance. They are jumping, bobbing, flopping, turning, throwing sticks. Very fun to watch. 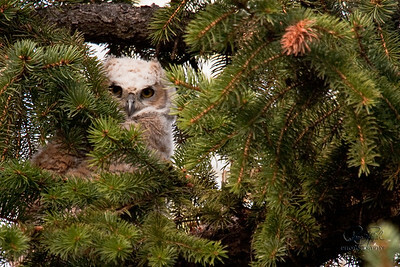 he Sand Hill Migration thru central Nebraska is an Amazing event. 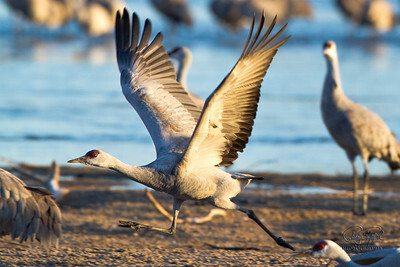 Hundreds of thousands of sand hill cranes converge on the Platt River near Rowe Sanctuary. This evening in a photo blinds we saw wave after wave or cranes come into the river banks. The Sand Hill Migration thru central Nebraska is an Amazing event. Hundreds of thousands of sand hill cranes converge near Rowe Sanctuary close to Kearny Nebraska In the evening the cranes come to the Platte River. I was in a photo blind and was blessed by have the clouds part and a beautiful sunset happened. 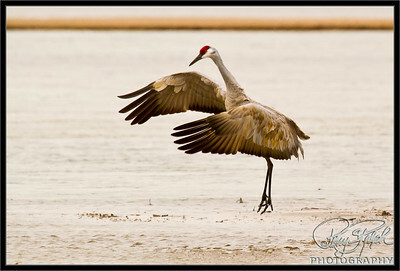 The Sandhill Migration thru central Nebraska is an amazing event. 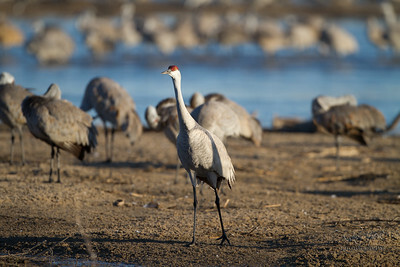 Hundreds of thousands of sand hill cranes converge near Rowe Sanctuary close to Kearny Nebraska. 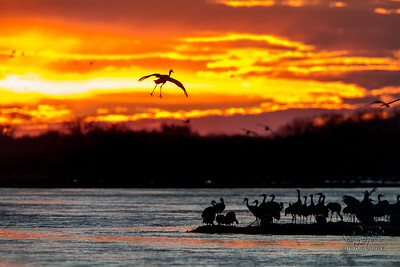 In the evening the cranes come to the Platte River. I was in a photo blind and was blessed by have the clouds part and a beautiful sunset happened. 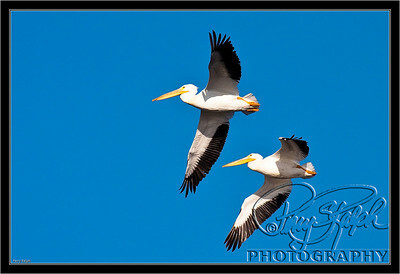 The Sandhill Migration thru central Nebraska and an amazing event. Hundreds of thousands of sand hill cranes converge near Rowe Sanctuary close to Kearny Nebraska. 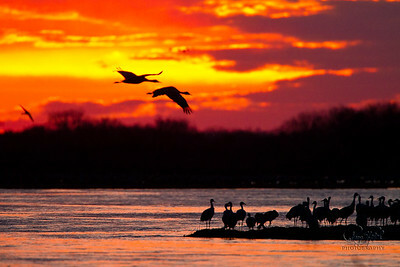 In the evening the cranes come to the Platte River. This night we stayed in a blind near the river and we were blessed by have the clouds part and a beautiful sunset happened. 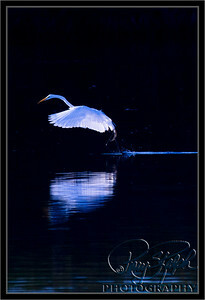 Caught this Egret NE of Jacksonville Florida near the Big Talbot Island State Park. 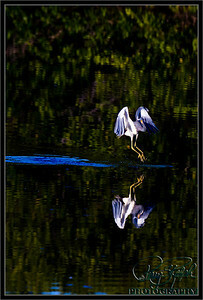 There were a flock in the low lands and i was able to catch this bird just starting its flight.